Normally I'd have a guest today, but she never showed up. 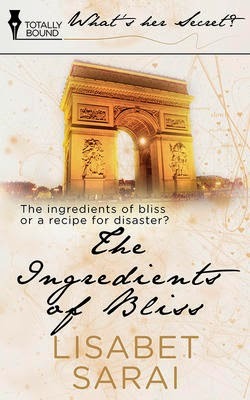 Meanwhile, I just received my cover for The Ingredients of Bliss from the fabulous Totally Bound art director, Emmy Ellis. So I thought I'd share it with you today - just to keep you from getting bored!